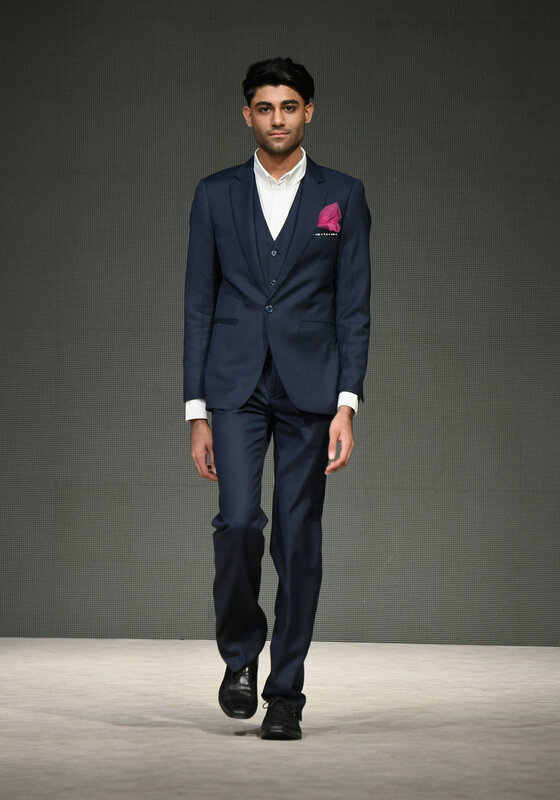 Friday, September 21st, 2018 – Vancouver, BC - Friday night was a night of edgy, experimental, and sophisticated styles on the runway at Vancouver Fashion Week. 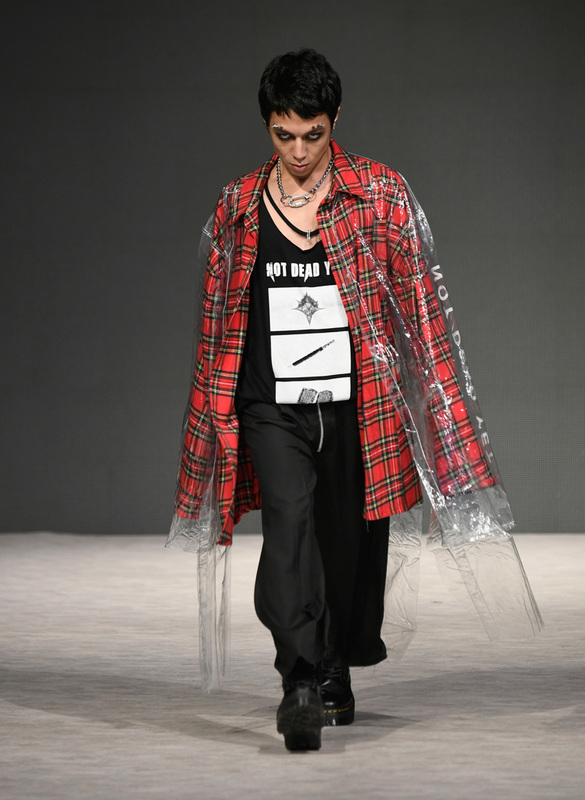 NOT DEAD YET started the shows with a twist on the grunge aesthetic, designer Adam Lin-Bungag’s signature. 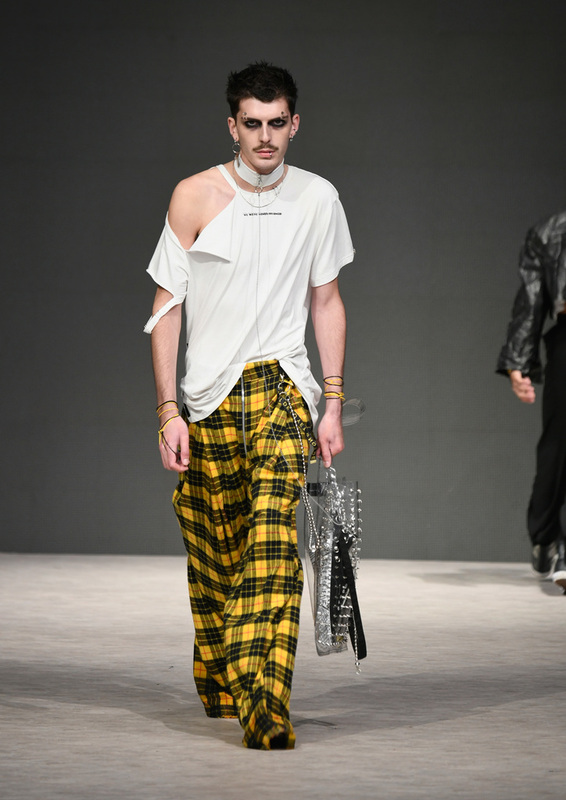 The 2018 Nancy Mak Award Winner, showcased oversized sleeves, raw edges, combat boots, hanging chains, and studs. 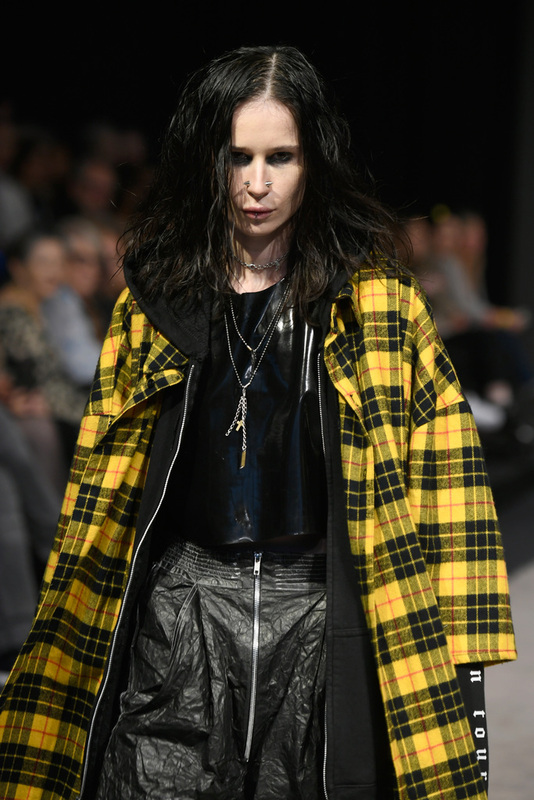 Red and yellow plaid was contrasted with plain black and transparent PVC. Drawn letters spelt out SHAME on the side of sneakers, and printed words on graphic tees hinted to the theme ‘Eulogy'- the understanding that in order to move forward we must acknowledge, understand, and learn from our past. 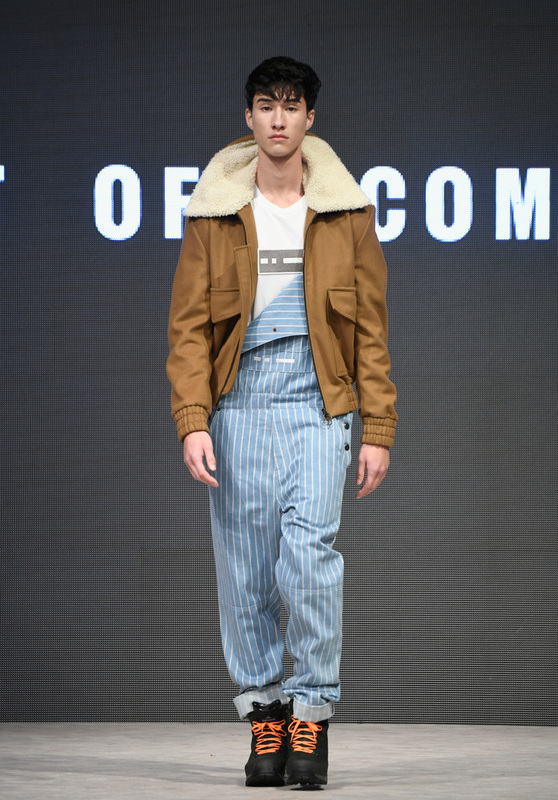 Apparel Magazine, one of New Zealand’s premier fashion publications presented an exciting trio of designers for SS19. 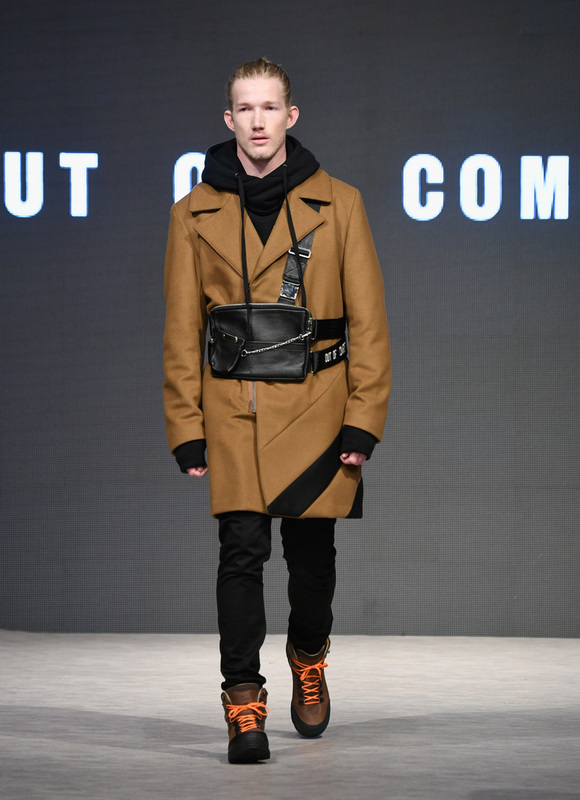 First, Christchurch’s Shannon Thompson of Out of Comfort displayed a collection with relaxed silhouettes and immense depth utilising earthy tones and functional accessories like hiking boots and bucket hats. 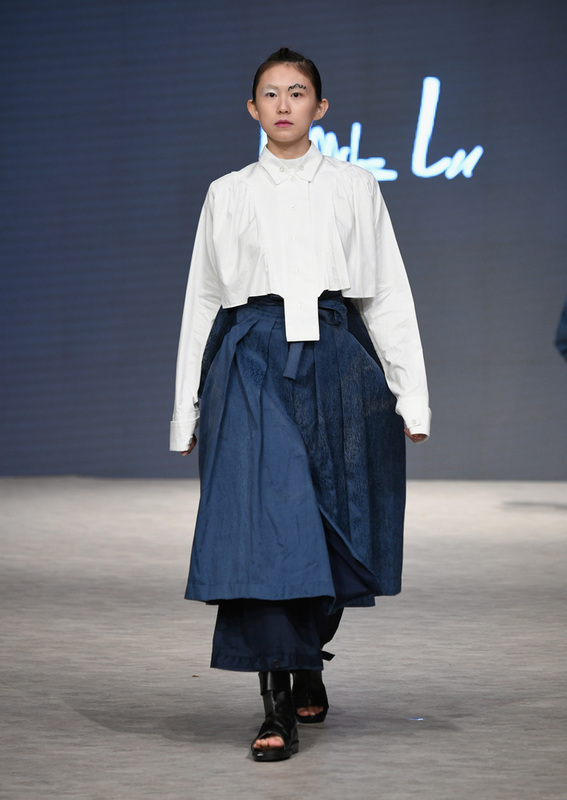 Next up, Auckland’s Doris Lu depicted a feminine strength and confidence in her collection with Japanese-inspired elements, reimagined white dress shirts, and samurai-esq wrap jackets. 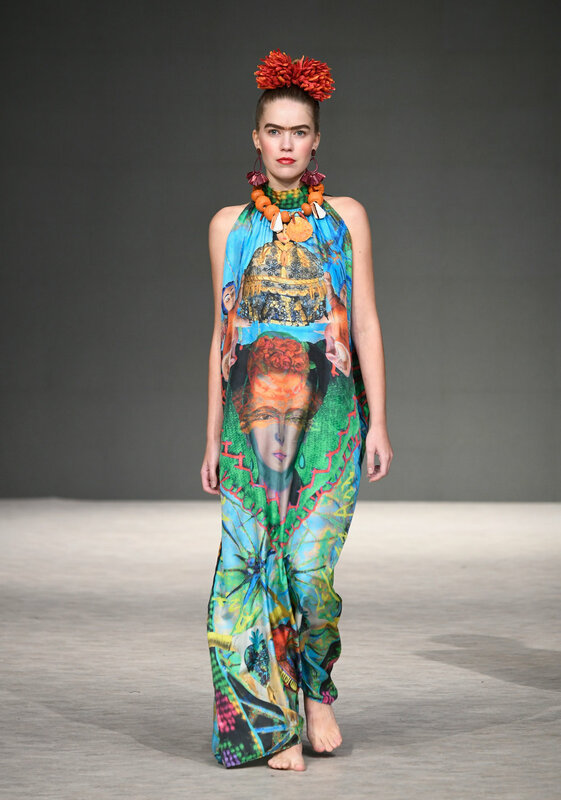 Finally, Auckland’s Kate Fisher presented electrifying pieces that were gender non-conforming in their presentation. 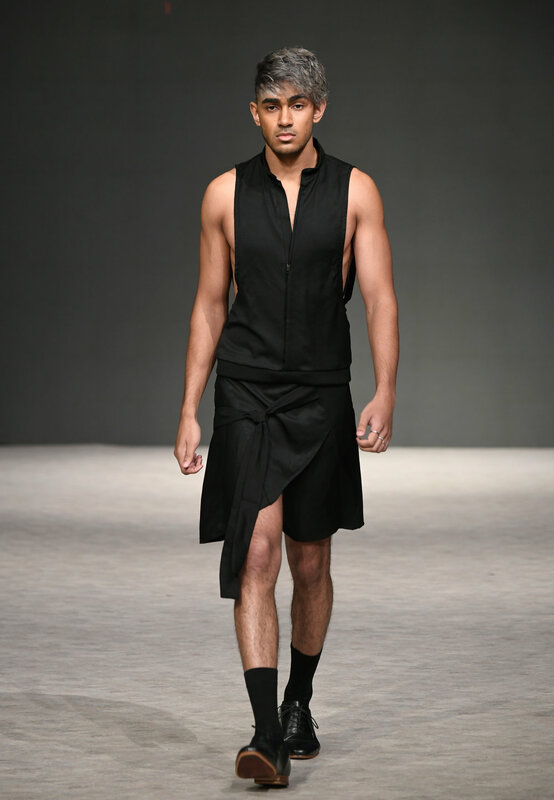 With a mixture of black, white, and red chiffon blouses, and metallic elements scattered throughout, Fisher demonstrated the versatility of her capsule collection. 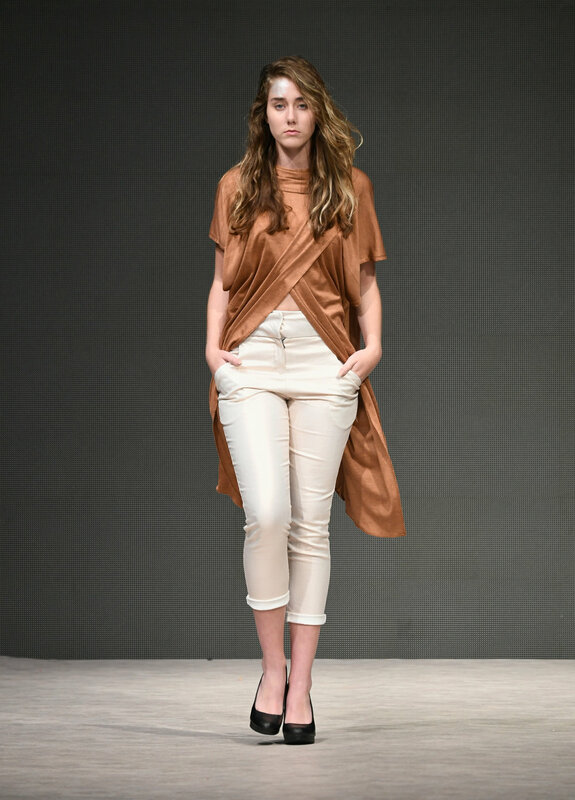 These three New Zealand designers showed their collective strength at Vancouver Fashion Week.